The Nortel IP Phone 1230 is one of the desksets in the exciting IP Phone 1200 Series that come pre-programmed with key features used by today's businesses. The IP Phone 1230 is a premium-intermediate deskset that has 10 programmable soft keys. 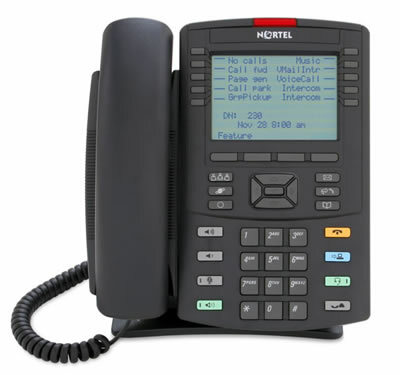 The Nortel 1230 IP Phone is best suited for power users with advanced communication needs such as managers, knowledge workers and administrative assistants.